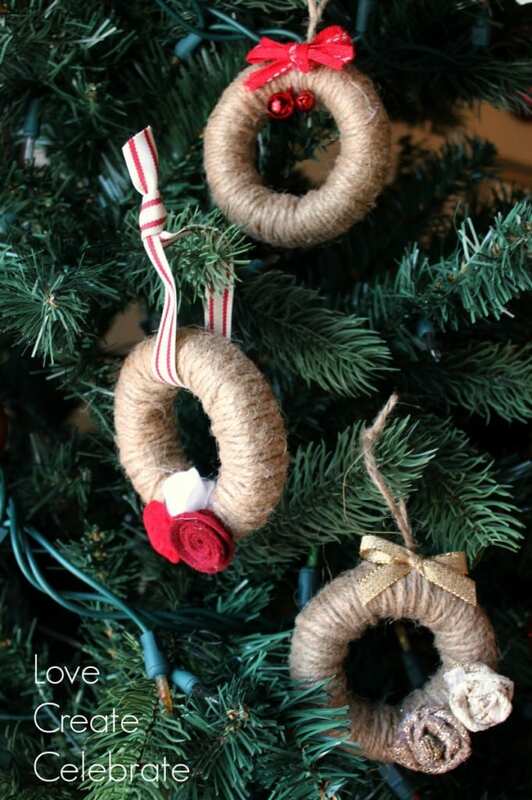 Aren’t these the cutest little ornaments you’ve ever seen! 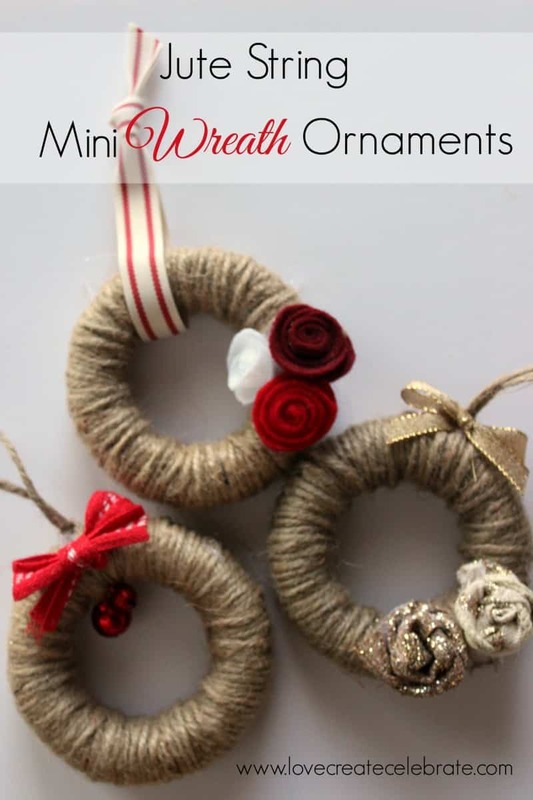 I just LOVE how these mini wreaths turned out. 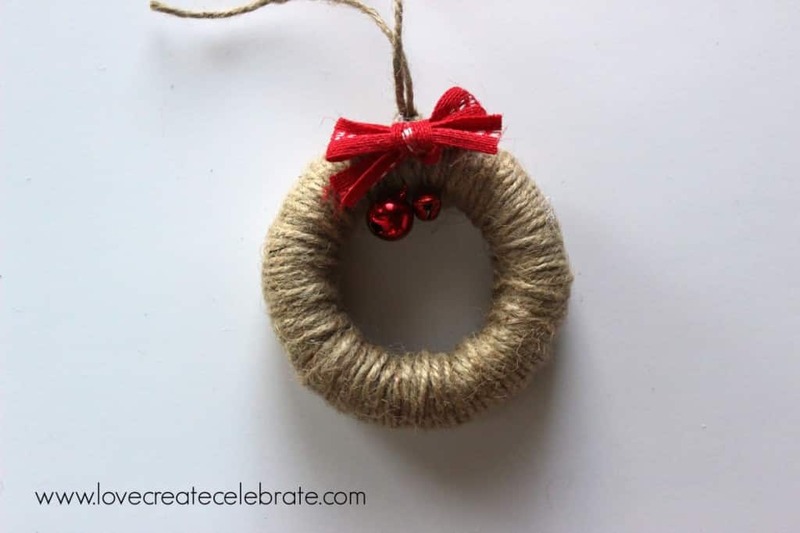 I’m incorporating a lot of red, gold, and burlap into my Christmas decor this year, so these jute twine mini wreaths fit right in! 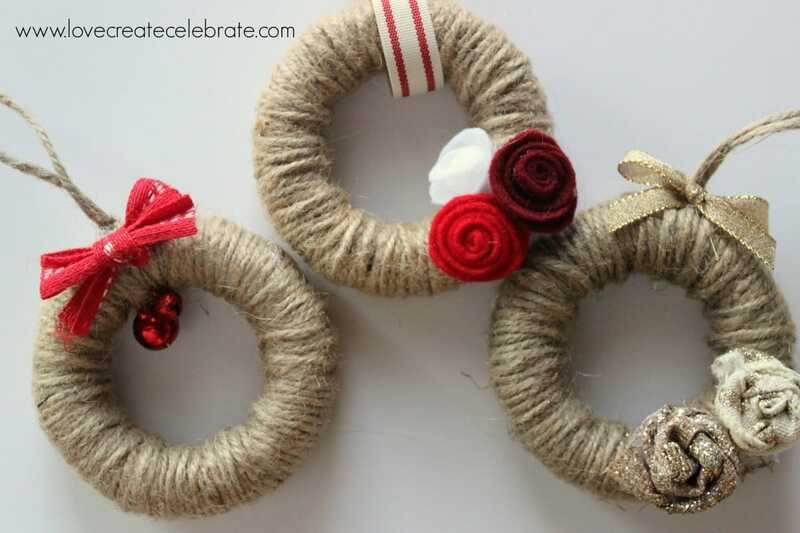 For all three of the wreaths, I started by wrapping them in jute string and then gluing the final piece of string in place. Once the wreaths were wrapped, I turned to decorating them. 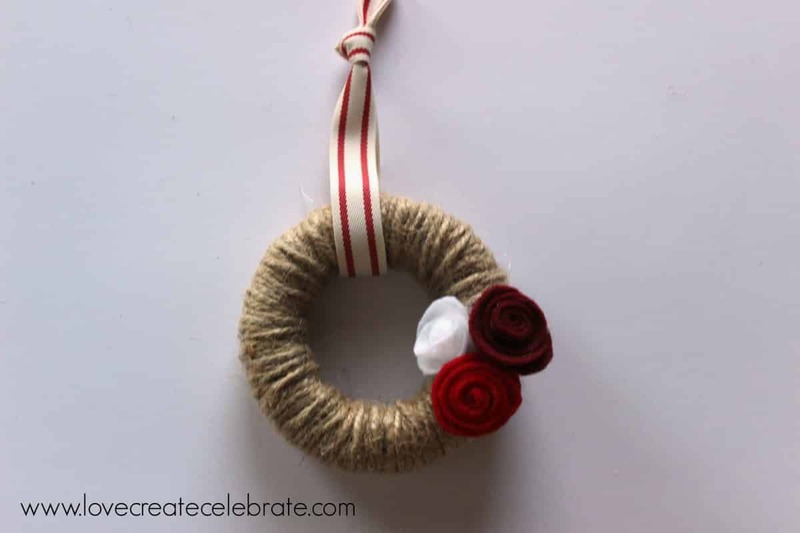 For this first one, I simply strung two small jingle bells that I had lying around through a piece of jute string, and tied them to the top of the wreath. Then I made a bow from a small piece of burlap ribbon and glued it on top. Then I added a gold ribbon to the top and I was done! Of course, I needed one pic to show how amazing they look on the tree! 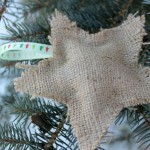 Stay tuned for six more days of amazing red, gold and burlap Christmas crafts!! They are all so lovely! 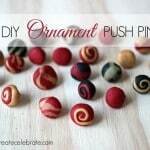 Thanks for sharing- I love making ornaments at Christmas time. These are so adorable! I love them. We bought a real tree this year and it’s so much bigger than last year’s tree so I’m lacking in the ornament department. I pinned these for later. I might be making them soon. SO, SO cute Lindi! Love those pretty little flowers!!! Thank you :) I’m thrilled with how they turned out! Thanks for stopping by! These are adorable, Lindi! I love them! Thanks Tara!! I can’t wait to make some more! 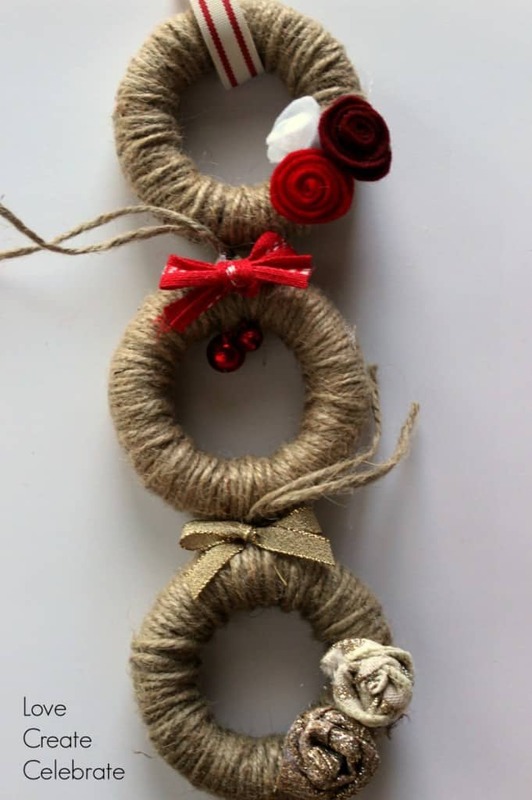 How sweet are these mini jute wreaths! Love the variety of decorations you added, making each unique. A dozen or so of these on the tree or as a garland would be so fun! I agree completely! I ran out of jute string after 3, lol. But I’d love to make a bunch more! 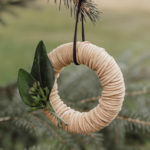 I love the jute against the tree! Nice use of mixed media! Popping over from The Makers link up party =) Super cute! I adore the tiny flowers. Adding them to craft idea aresnal =) Come share your crafts & DIYs on the #2usestuesday link up at SarahCelebrates.com if you haven’t already! These are absolutely adorable! I really like the rustic look, and they are so simple to make. Thanks for joining us for Hump Day Happenings. Thank you!! 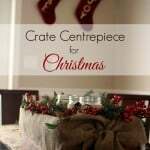 I’m trying to add a few rustic pieces to my decor this year and these fit in perfectly! These are oh so adorable!! They would make such great gifts. I love them. Visiting from the Weekend Wind Down Link Party! Thanks Emily!! I love the name of your blog by the way! Hey Joanne! Thanks for stopping by! Lindi, these are soooo adorable. I love that they are mini. I pinned this. 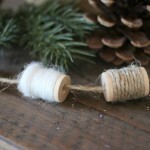 Thank you Natalie :) I love the rustic feel of the twine! Pingback: Caffeinated Crafters – Tuesday Link Up #28 - Let's Eat Grandpa! What a great idea! These are so cute! I love all the little details that you included. Okay, these are adorable!!! Thanks for linking up at the #homematters linky party! We hope to see you again this coming Friday! Thanks Kristen! Don’t they look cute on the tree?! Love, love, love these! 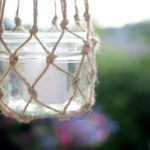 Thank you so much for sharing at The Found & Foraged Linky party. I hope you will come by to see us again! The party starts tonight at 8 PM CST! 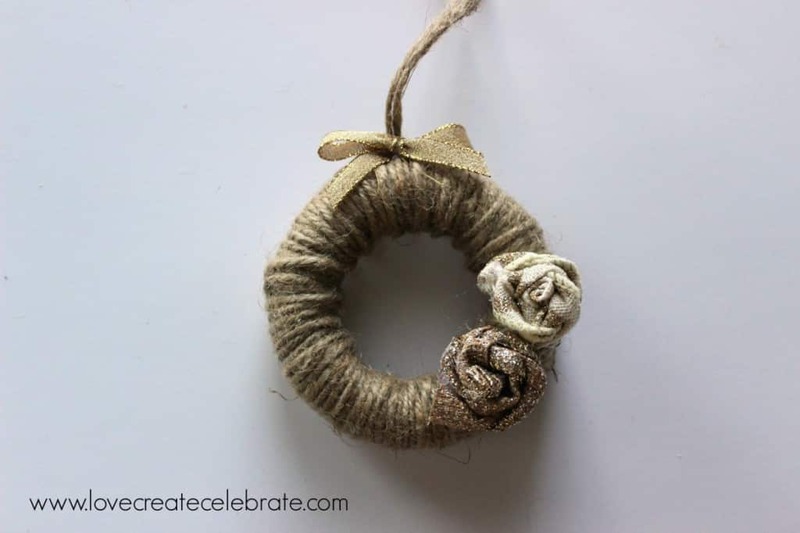 What did you wrap the twine around? Foam? Yes! I wrapped it around foam rings :) You can use mason jar lids too!